Everyone has a need for data storage once in a while, and sites such as Dropbox and Box.net serve an essential role that many could not do without. Both services have their relative strengths and weaknesses of course, and it is these and other details that we cover in this comparison article. 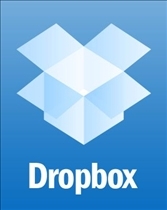 Dropbox is an Internet-based file hosting service offered by Dropbox, Inc. The service uses cloud computing in its goal to allow users to store and share files and folders with other users over the Internet by way of file synchronization procedures. The company was established as a Y Combinator startup by Drew Houston and Arash Ferdowsi in 2007. 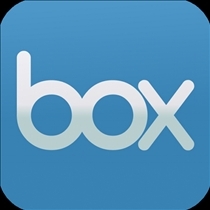 Box.net is a content management solution that also uses cloud computing. The service provides individual and corporate users with up to 5GB of storage space by way of its "freemium" business model. Dropbox and Box.net provide numerous options for file sharing, and both enable users to easily share files or folders with other users via email. The recipient of the file can then create their own accounts with the company, as well as access shared resources. Recipients may also store and share new files. However, Box.net has a slight edge in that it allows users to share both files and folders, while Dropbox only allows users to share folders. Box.net also allows users to define granular permissions, while Dropbox permissions are an all-or-nothing proposition. This makes the Dropbox model less than ideally suited for larger organizations. In terms of mobile access, both services generally offer suitable features and capabilities, with support for a variety of mobile applications. Among the applications that performed particularly well were those for the iPhone, many of which provide easy browsing. Applications for both services operate in pretty much the same way, with the documents being downloaded only when they are accessed. Dropbox has a slight edge in terms of showing picture files, although Box.net shows comments right in the files. Both Dropbox and Box.net provide fairly adequate security features, with Box.net having been recognized on the Safe Harbour list, which means that it complies with the requirements of the EU Data Protection board. As for Dropbox, although its Amazon S3 system is on the same list, Dropbox itself is not. Dropbox is by most accounts best suited for micro businesses and/or professionals who are looking for an easy-to-use file storage, mobile access and file sharing solution. Box on the other hand is better suited for business, with features such as granular permissions and additional document signing. In any case, both are excellent applications with numerous uses. An Internet-based file hosting service offered by Dropbox, Inc.
As a (former) Dropbox user I'd like to recommend SugarSync as an alternative way to backup and sync your data in the cloud. Free accounts provide 5GB of disk space. Both Dropbox users ( you and I) get an extra 250MB on top of the free 2GB. Once Joined you can then refer others and receive an extra 250MB per referral up to a max of 8Gig… Free. services that I can't do without. One of those "It just works"
security of my files stored securely online. can restore any file that was accidentally deleted.